There is a great free program called Stellarium which helps teach you about the constellations. Originally developed for linux computers, its now available free on Windows and Mac systems too. Type in your location and it will give you a visual representation of your current sky. 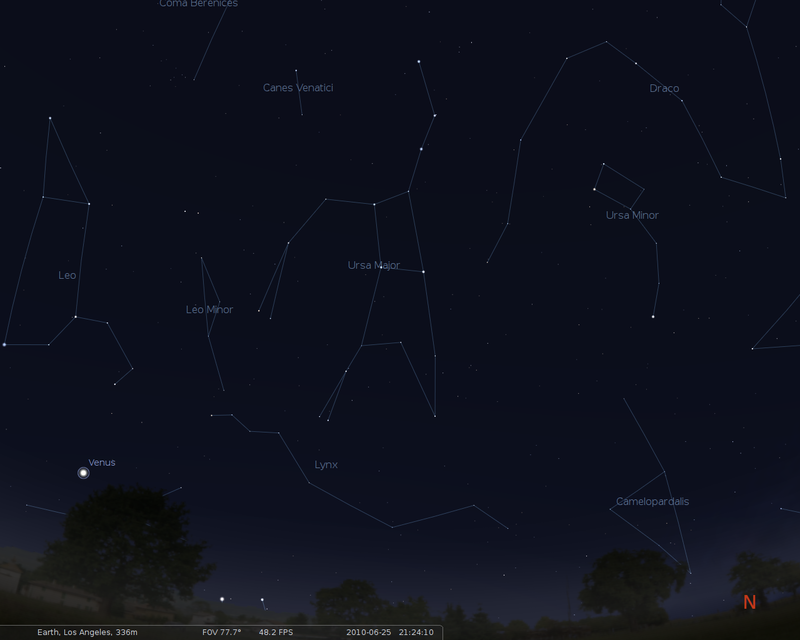 If its sunny out, Stellarium wont show the stars. But at night time you’ll be able to see in real time where the stars, constellations, planets, etc all are. 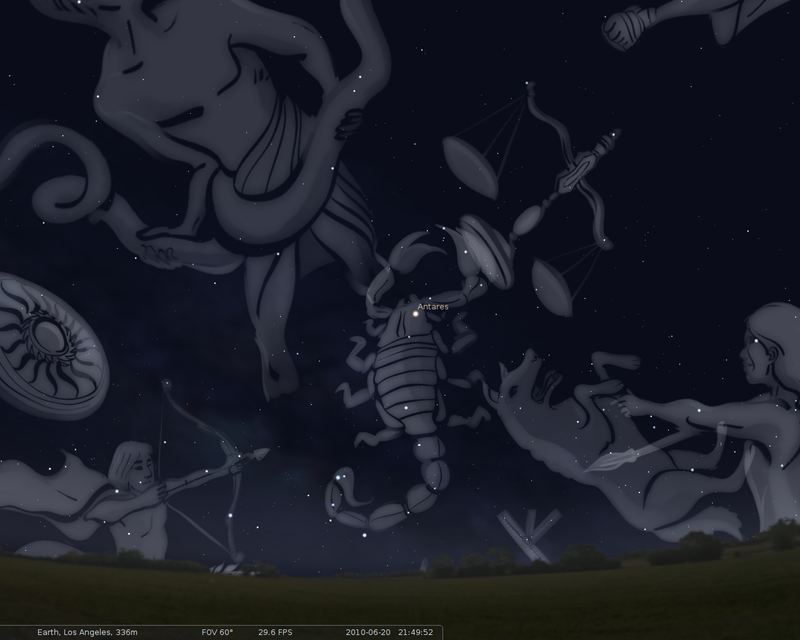 Many great features such as zooming in on objects in the sky (the moon, Saturn, Jupiter, etc) as well as changing the date, location, showing or hiding constellation names, constellation shapes and more. Night time mode dims the colors a bit and turns everything a shade of red making it easier on the eyes and not so bright when you are outside star gazing. You can even change the “starlore” (default is set at western) to see what the ancients paid attention to. The Aztecs, Chinese, Egyptians, Norse and Navajo to name a few. Very interesting! 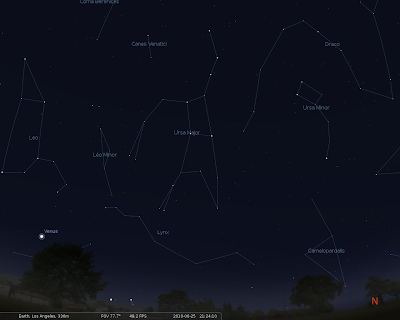 Stellarium really “shines” when you install this on a laptop or netbook and spend an hour outside exploring the stars. 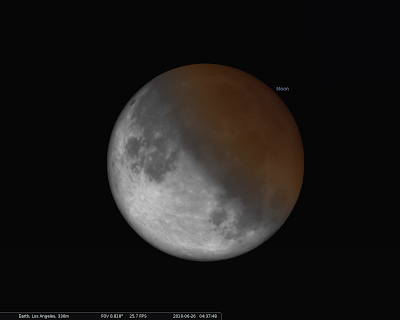 So, try it out for the lunar eclipse thats coming up. Stellarium is real time so it will show lunar eclipses, solar eclipses, and so on, but you can also plug in your own date and times. Ive found this to be great when out camping. No internet service needed. Just have fun exploring the stars!